Three new podcasts to debut joining the popular HR Happy Hour Show and Podcast creating the first Human Resources and HR Technology focused podcast group. St. Louis, MO, August 3, 2016	(Newswire.com) - Today H3 HR Advisors, creators and owners of the popular HR Happy Hour Show and Podcast, announced the creation of the HR Happy Hour Podcast Network, and the launch of the first three new podcasts under the HR Happy Hour Show umbrella. 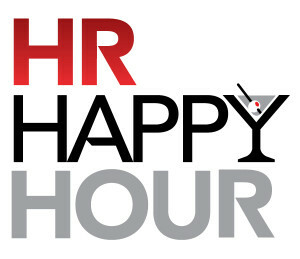 These new titles on the HR Happy Hour Podcast Network will provide HR, talent acquisition, and business leaders information, resources, and insights in the increasingly popular podcast format, to better manage their organizations, engage their workforces, and make more informed decisions about HR technology solutions. Research on the Rocks – Hosted by Madeline Laurano and Mollie Lombardi, Co-founders of Aptitude Research Partners and will focus on the latest developments, trends, and research in talent acquisition and workforce planning and management. 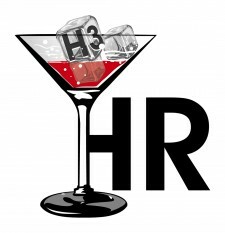 On the launch of the HR Happy Hour Podcast Network, H3HR Advisors CEO Trish McFarlane said, "These new podcast titles, along with the flagship HR Happy Hour Show, the longest-running and most downloaded HR podcast, create a powerful and valuable set of resources for HR professionals and leaders. Steve Boese and I are thrilled to welcome our friends Madeline, Mollie, George, and Ben to the HR Happy Hour family." CEO, H3 HR Advisors, Inc.
HR Market Watch – Hosted by George LaRocque, Principal Analyst & Founder of #HRWINS which will cover the emerging HR technology space, with a focus on innovative new technology companies and solutions. We’re Only Human – Hosted by Ben Eubanks, Principal Analyst, Lighthouse Research & Advisory and will highlight how modern technology and new ways of working are creating a more people-centric workplace. These new titles, along with the HR Happy Hour Show, will be available for listening and download on the HR Happy Hour Show home page, on Apple’s iTunes, Stitcher Radio, and all the major podcast player apps for iOS and Android. ABOUT H3 HR Advisors, Inc.:H3 HR Advisors is a full-service HCM consulting and advisory firm and provides the most current thought leadership in the HR arena. In addition to consulting and advisory services, H3HR Advisors can provide keynote presentations, concurrent session presentations, webinars, marketing materials, infographics, customized research, market reports, buyer’s guides, and can produce the HR Happy Hour Show and Podcast live at your company event. Source: H3 HR Advisors, Inc.
About H3 HR Advisors, Inc.
H3 HR Advisors is a full-service HCM consulting and advisory firm and provides the most current thought leadership in the HR and HR technology market. H3 HR Advisors also produces the popular HR Happy Hour Show and Podcast.